When people ask us if we want to sample their coffee, we usually answer the same way we would if someone asked us if we like breathing. Which is to say, “Uh, duh.” We’re dedicated to discovering new and delicious coffees and coffee merchants and telling our readers about them. 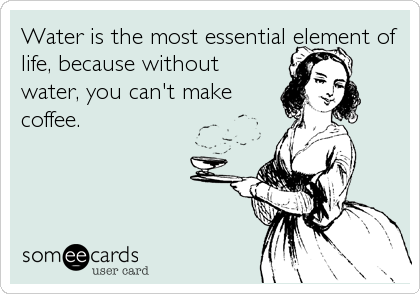 Also: COFFEE! In the case of Cross Country Cafe, Jessica was delighted to learn the story behind the family owned business. Cross Country Cafe, owned and operated by the Scroeder family, has been around for four generations and 100 years. Their story begins, as all good coffee does, with water. They began as Distillata Water, selling ice and water in the pre-World War I era in central Ohio. Back then, folks bought ice to keep in their iceboxes, which is where your grandmother got that term. Later, Distillata concentrated on making soda and distilled water. They began selling Keurig products after being approached by the manufacturer and testing out the pods. They offer K-cup products along with their water, which is what they still do locally. The business boomed and they knew it was time to grow. That’s when they decided it was time to go big or go home. They started up a website and went national, calling themselves “An E-Café for Coffee Enthusiasts,” which carries brewing systems, Nespresso products, and Contigo Mugs. 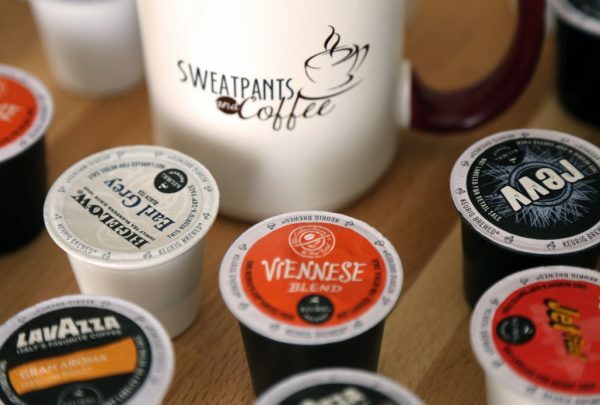 They’ve worked hard to create more than just your online K-cup retailer, they’ve tried to make it a community. Their Coffee Blog features tips and tricks for your best coffee and tea, features weekly sales, recipes, reviews, coupons, and even a book club. They found their passion, and they ran with it. I’ve had the pleasure of working with April Schroeder, of the Cross Country Cafe family, and when I asked her what they were hoping to achieve with this website she replied, “We want our customers to feel like they are visiting the neighborhood mom and pop coffee shop, only we are a virtual one.” A mom and pop coffee shop you don’t even have to change out of your PJs for? Sign us up. At $14.25 for a 22-pack of pods, they are the lowest I’ve found without a sale. Cross Country Cafe promises the lowest prices for their products. If you find it somewhere else, excluding sales, for cheaper than they are offering, just shoot them an email, and within a couple business days they will check and match their competitor prices. This was a very smooth, very aromatic coffee. There are slight caramel, chocolatey undertones. It’s delicious. Smooth, with no bitterness and slightly nutty aftertaste. This coffee had a subtle smokey smell while it was brewing. The flavors are bold, dark roasted, and slightly bitter. If you like very flavorful coffee, this is your jam. It stood up to its name. It smelled like molasses while it brewed and packed a bold punch. Strong, strong flavors full of smokey, roasted nuttiness. This coffee is not for those with sensitive taste buds. This coffee smelled warm and chocolatey while it brewed. The flavor was bold with a slight roasted tone but with no bitter after taste. This is a good one across the board. I’m a sweet tea lover myself, so this was right up my alley. I brewed it over ice to cool it faster, and the flavor was rich and sweet. Not at all watered down. Perfect for the upcoming summer days. The tea brewed perfectly. Strong, aromatic, and dark. I’m always a little bit skeptical because of how finicky it can be to produce the perfect tea, but these cups brew beautifully. It’ll make a quick cup of tea before bed much faster. Want to know what to do with those K-cups when you’re done with them? Here are some creative and fun ideas. Also, here and here.